April 10, 1990 was the release date of a cornerstone in hip hop music: Public Enemy’s Fear of a Black Planet. Still known as one of the most empowering albums of its time, the album was written during a pivotal era both in America and music: the Golden Age of Hip Hop. 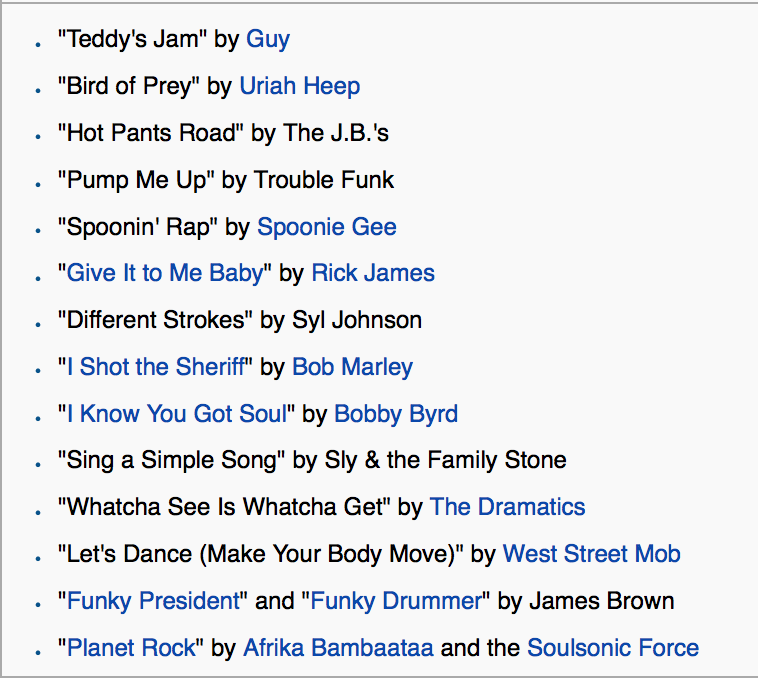 Examples of some of the known samples, these from the 20th track on the album “Fight The Power”. Bomb Squad producer Hank Shocklee claimed in an interview this year there are still many more samples he’s never spoken of. Within the first week of release, the album sold more than a million copies, coming in at number 10 on Billboard’s Top Pop Albums chart. Commenting on several racially and politically engaging topics was the goal of the album, and the track that said it best was “Fight The Power.” The deep rhymes and intense verbage used by Chuck in revolutionary poetry made the track not only what the group became known for, but also their critically acclaimed anthem. Used by director Spike Lee for his film Do The Right Thing, who also filmed this music video, this track alone could be used to describe this legendary album. Fear of a Black Planet was later listed as Rolling Stone’s 300th greatest record of all time.